Concentrated Hash Oil made with the Rick Simpson method. Made with organic Blackberry Kush flowers and Everclear, all completely food-grade ingredients. 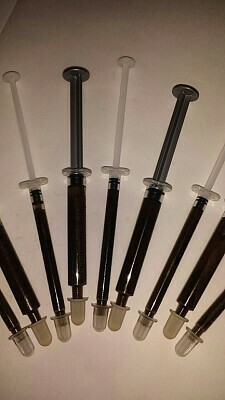 Available in 1g for (35) and 3.5g (100) syringes.